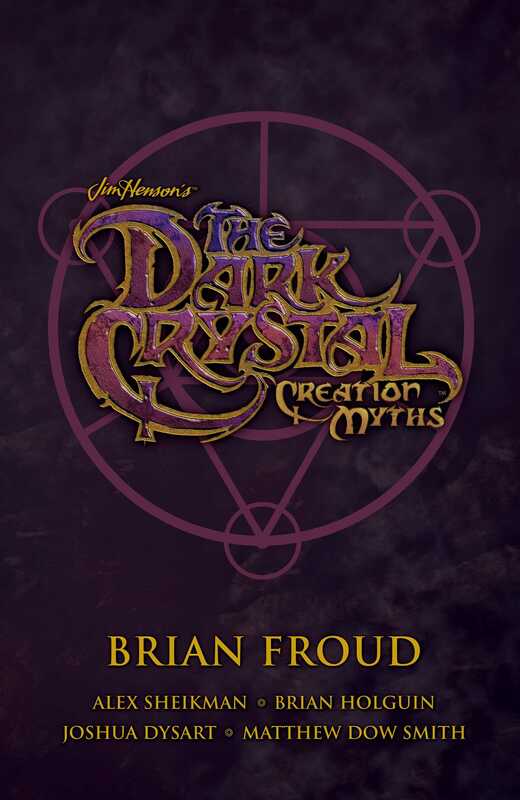 Brian Froud, legendary conceptual designer of the beloved Jim Henson fantasy film The Dark Crystal, returns to the world he helped create in this official prequel trilogy. Collected together in one set for the first time, this graphic novel series reveals the definitive origins of the Skeksis, Mystics, Gelfling, and the Dark Crystal itself while introducing all new characters in an epic spanning thousands of years. Written by Brian Holguin (Spawn: Origins), Joshua Dysart (Unknown Soldier), and Matthew Dow Smith (Doctor Who), and lushly illustrated by Alex Sheikman (Robotika) and Lizzy John (Fraggle Rock), The Dark Crystal: Creation Myths is a breathtaking return to the fantasy world that has captivated audiences for over thirty years.